Instantly converting received cryptocurrencies to fiat or stablecoins enables you to avoid market volatility. 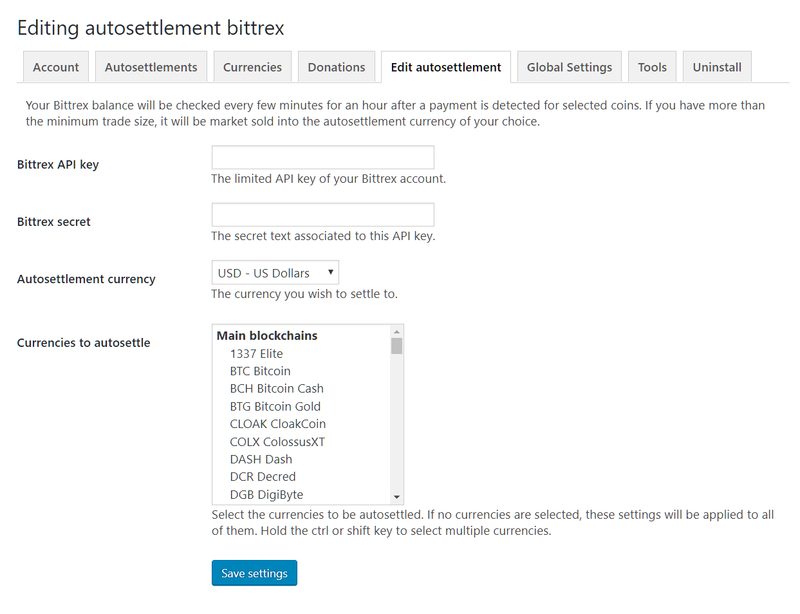 This is a great feature for merchants who want to accept bitcoin/altcoins but prefer to cash out immediately. 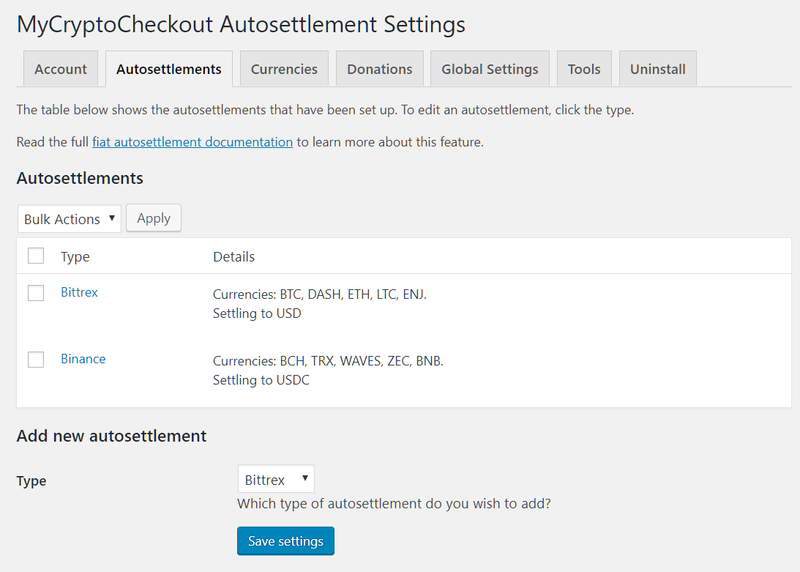 Just add your exchange API keys to your autosettlement options and your good to go. The plugin does all the hard work in the background. You can even test exchange integrations in seconds with the click of a button. Your MyCryptoCheckout install only requires limited access exchange API keys to automatically convert coins. 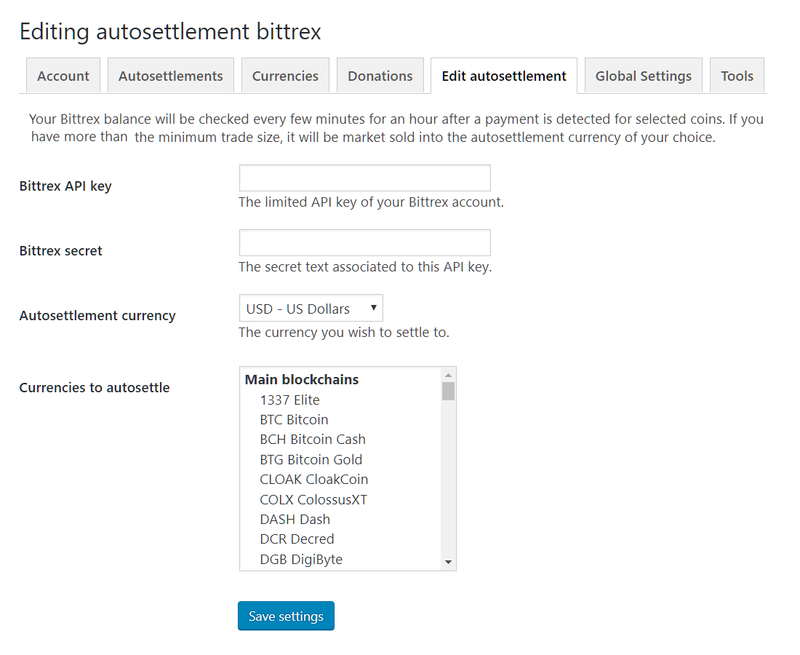 Since the plugin does not need or have access to withdraw funds there little to no security risks.